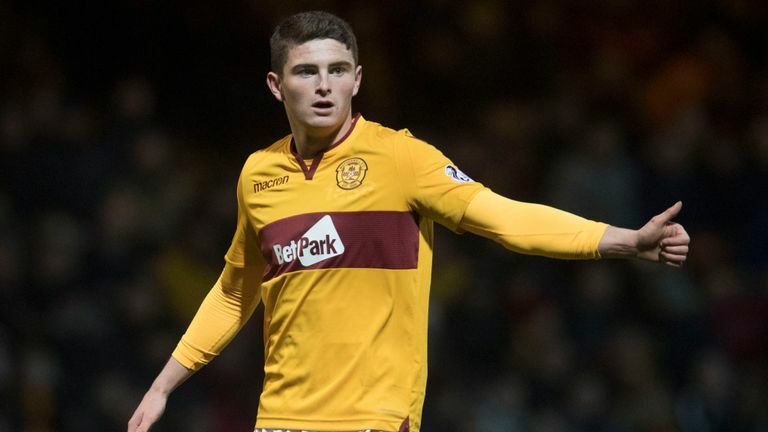 Steven Gerrard is said to have re-opened discussions over Motherwell’s Jake Hastie, despite claims in the media he’d withdrawn due to frustrations over protracted negotiations. The Rangers manager has had a keen eye on the rising Motherwell star, and despite his rather modest performance at Fir Park, his stats don’t lie and he has prodigious potential in the SPL. Reports claim Gerrard would have to pay a modest six-figure sum for Hastie’s signature, a development fee only, reputed to be in the range of around £300,000, for the 20-year old winger to make the switch from Fir Park to Ibrox. This would also give Gerrard further wing options on the right following Eros Grezda’s failure to impress and Daniel Candeias’ age and may even hint negatively at the likelihood of on-loan Ryan Kent remaining a Rangers player beyond the summer. For his part, Hastie’s ‘audition’ against Stevie’s men only a week or two was hardly sparkling, and the Scotland youth player certainly didn’t take the chance to shine – possibly trying too hard and too eager to impress. Furthermore, further claims have been made that Gerrard pulled out initially due to the fact Hastie is being courted by a bunch of clubs down south and across the pond, and was buying time to see what the best offer was. In fairness, that’s his prerogative and he has every right to, but fans would probably prefer players eager to put on the light blue rather than waiting to see what a Championship or League One side will submit and stalling over Rangers. Either way, he seems to have changed his mind and this is one that’s back on, as in all fairness we predicted would be the case. Had a seemingly uninspiring time at Alloa in the first half of the season. That's a worry. Yip, buying more mediocre players, cant wait to be fighting for 2nd place next season and not win any cups, as well as handing Celtic 9IAR!, mediocre and inconsistency since we have came up to the SPFL, Very inspiring stuff!! You were. And he's 20. He's a fantastic player. We aren't in the market for a Laudrup because number 1 we don't have the money. Number 2 we aren't looking to compete in the CL so as far as I'm concerned players that will help turn the draws at home to St J, Killie, Hibs and away, plus Dundee away, Motherwell, Aberdeen... We need players that can score a goal out of nothing and he can do that. His stats speak for themself and if we don't snap him up he goes to England and does a Ryan Fraser and then becomes unreachable. All for signing young Scottish players and flooding them the way Ajax do. I'll take Turnbull off them as well. Nothing Special, No Better than what we have now.